When it comes to bridal shower ideas – anything goes! It’s about incorporating the bride’s personality into the event, so she truly feels like it’s a one-of-a-kind day, just for her. With that said, planning this party doesn’t mean that you have to devote every waking hour to your hot glue gun for DIY projects. 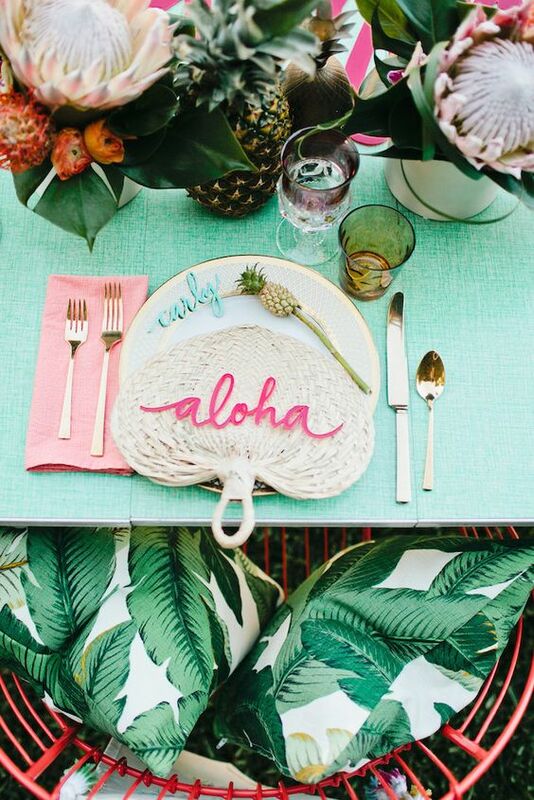 From beach-themed bashes to tea-parties and even carnival themes, there are so many fun bridal shower ideas to bring your creativity to life. We’ve rounded up a few of our favorites, below. 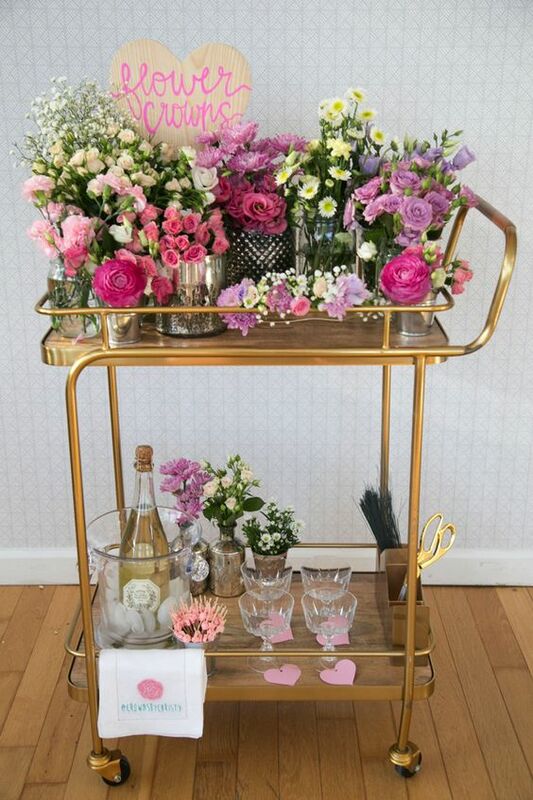 Looking for more bridal shower inspiration? 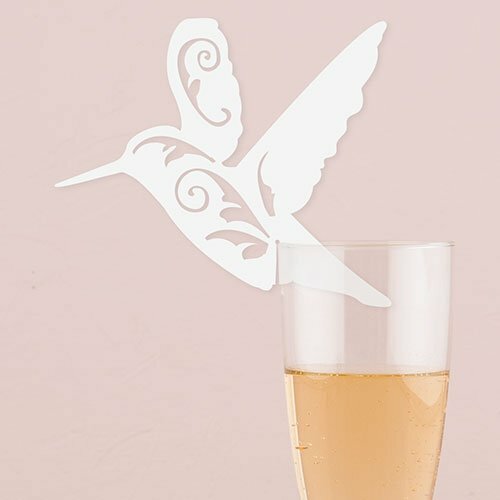 We love these bridal shower games and invitations, too! For an intimate bridal shower, we love activities that get the whole party involved. Case in point? A sugar cookie party where you can set up a ton of icings and adornments where each guest can decorate their own cookies to take home. All you have to do is bake the cookies beforehand (we suggest accounting for three per guest) and have packaging at-the-ready (like traditional bakery boxes and twine) so guests can box up their cookies to take home. 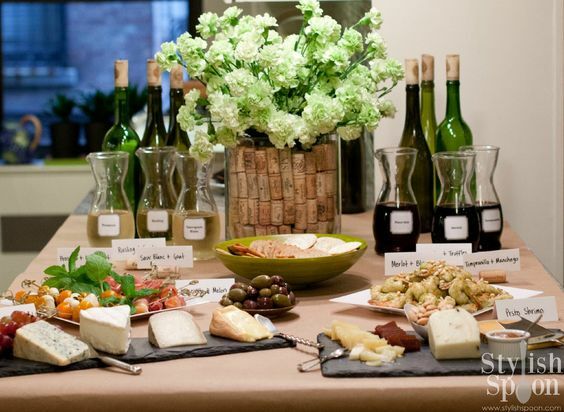 For an evening of great food and drinks, we suggest hosting a traditional wine & cheese party for guests. For an added bonus, you can have a sommelier come to the house to teach guests how to pair the right wines with the right cheese. And instead of asking guests to bring their favorite recipe, have them “stock the bar” for the bride and groom with barware, and of course, great bottles of wine. 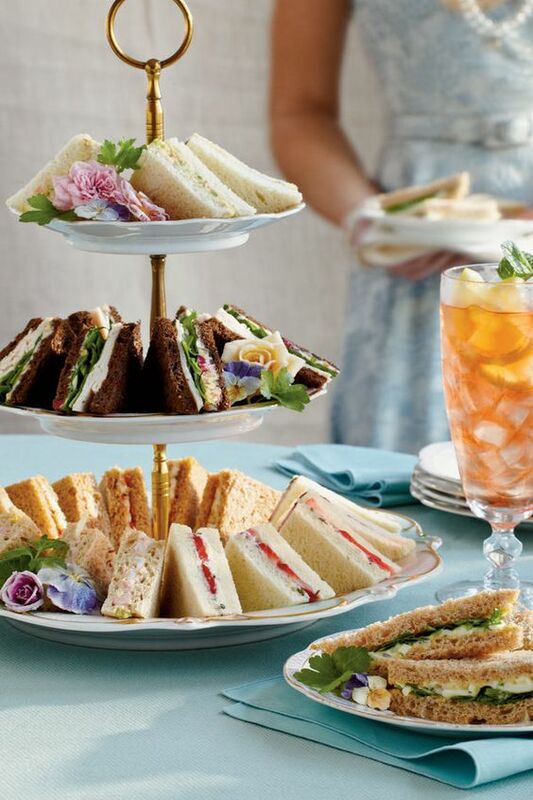 Are you throwing a traditional tea party? These adorable tea sandwiches are the perfect nosh. Plus, they pair well with the vintage tea cups guests are drinking from (hint: shop local flea markets and Etsy for great options). These sandwiches, like egg salad or cucumber and cream cheese use basic ingredients for a very DIY friendly food option. We also suggest purchasing or baking fresh scones to serve alongside these sandwiches. 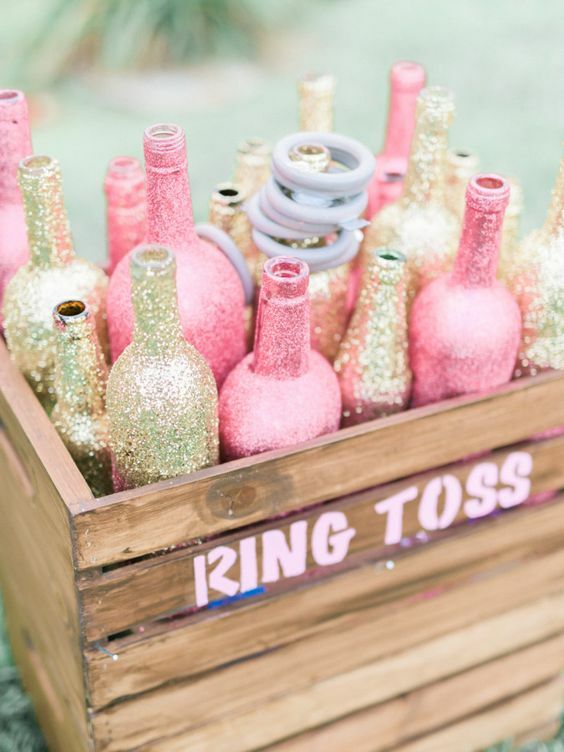 A carnival themed bridal shower full of cotton candy AND a ring toss? Awesome. Guests can line up to win a special gift (everything from sample-sized perfumes to gift cards), by throwing the plastic ring and landing it on one of the bottles. This elephant cake topper would also be an adorable addition! 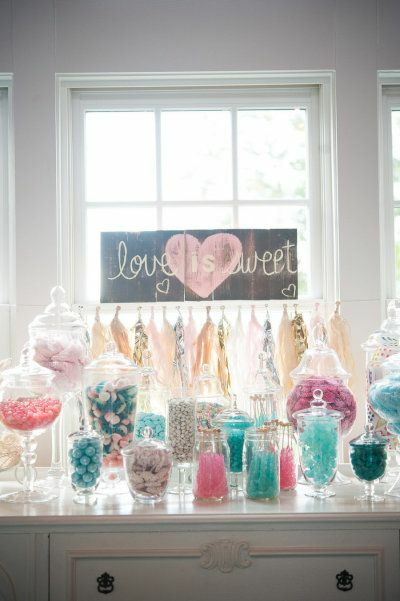 The candy bar has quickly become synonymous with weddings and bridal showers – and for good reason. Guests can select their own candies to take home, meaning everyone leaves happy (and on a sugar high). 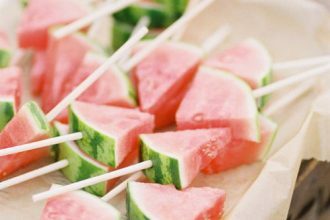 And, it’s highly customizable so you can incorporate the bride’s favorite childhood candies so that it really feels personal. Tiny bud bases hanging on the walls? Adorable! 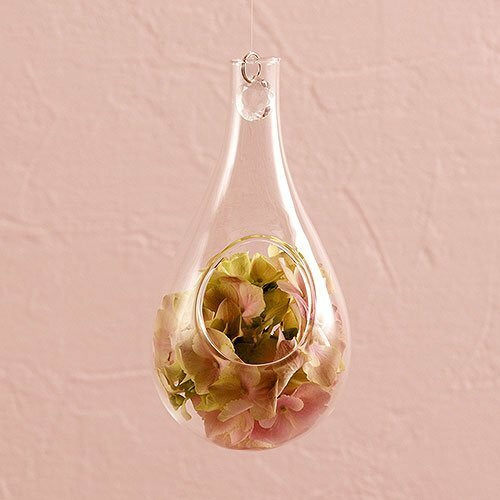 These glass bud vases will make such a beautiful display for anything from roses to sunflowers and tulips (even potpourri!). 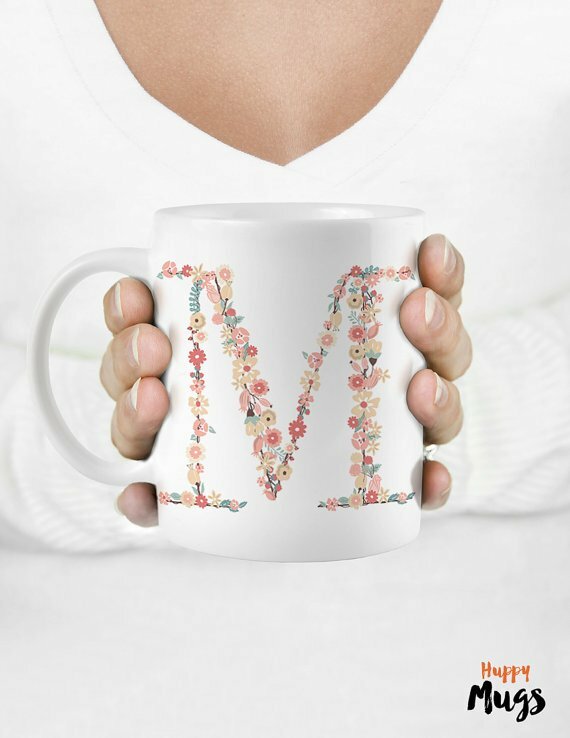 These personalized mugs are one of our most favorite bridal shower party favors. Not only are they actually usable, but we know guests will appreciate that theirs is customized with their own initials. You can also give guests coffee beans from your favorite coffee shop for some extra love. Via Happy Mugs on Etsy. A cousin to the DIY bouquet bar, we also love a great flower crown activity, where an expert can teach guests how to make a beautiful DIY crown. An activity and a favor? Check. In need of another easy game to occupy guests? What about a “guess how many” game? 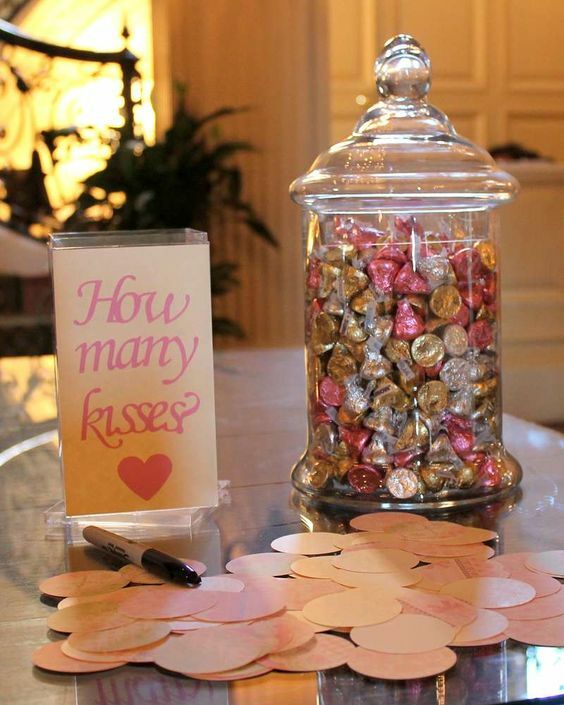 Like this jar of kisses where guests will have to estimate how many are in the container. The winner can receive a gift of your choice. 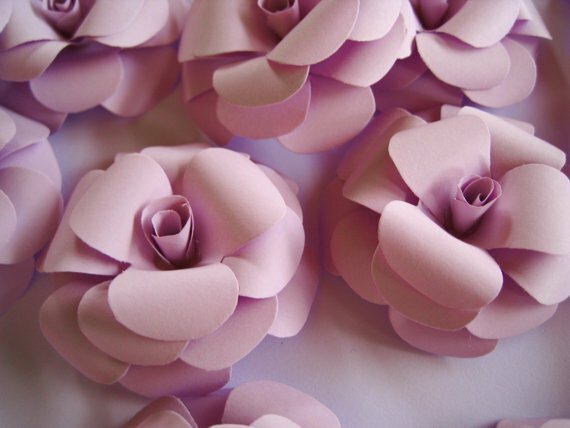 These lilac roses made of paper are a great DIY project for napkin rings. If you’re having a classic sit-down brunch bridal shower, we think these would make a dainty detail on guest’s place settings. 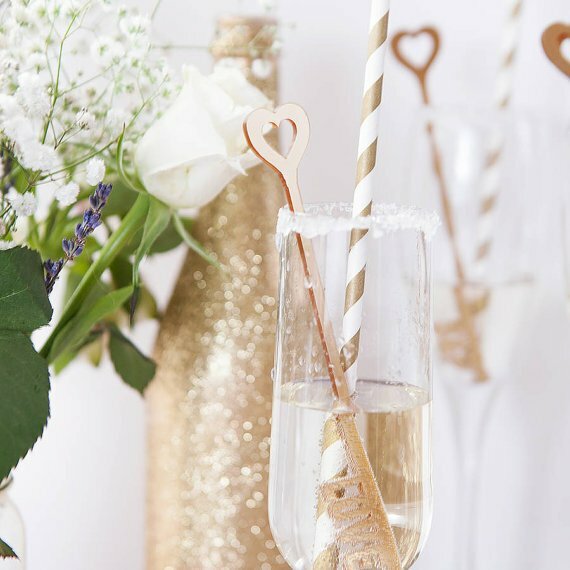 There are bound to be plenty of drinks flowing, so enhance them with these key-shaped drink stirrers that have “love” written on the key. 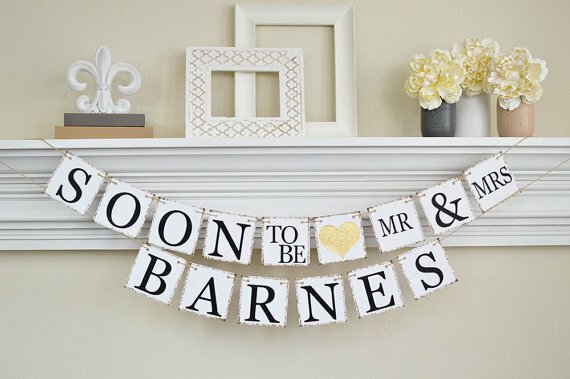 You’ll definitely need one of these personalized banners to drape near the dessert table or where the bride will be opening her gifts. It’s fun for the bride to see her new name and it makes for great photo opportunities! Want to make dessert even more sweet? Consider cake accessories, like these birch forks that have love puns in different fonts printed on them. They’re cheeky and sweet. 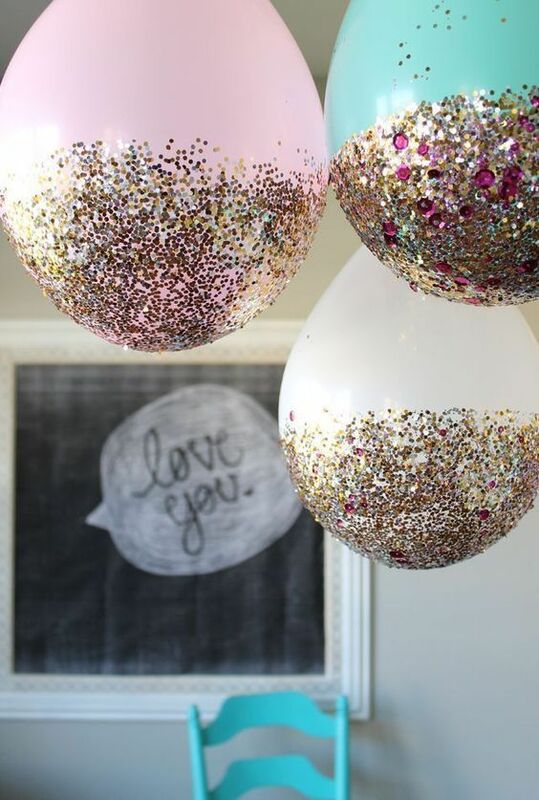 For a glam bash it’s super easy to glitter just about anything, like these basic balloons that took a quick right turn to craft-town. Think glittered tablecloths with gold rimmed glasses and jazzed up mini champagne bottles as favors.